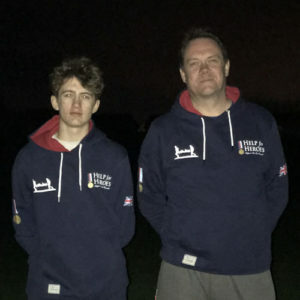 Ok, so the other weekend my 17 year old son challenged my husband Dave to compete in the Tough Mudder Challenge 2018, he agreed but I don’t think he had any idea on what he’d signed himself up for …….. after 10 mins of frantic internet research the reality dawned on both of them as to what they have signed up for! They tried to get me to join in too but unfortunately due to my aversion of water I declined their inviting offer with the age old “if you injure yourself during training I can fix you but who’d fix me?” line. I did somehow manage to get myself roped into the training they are doing to prepare for their Tough Mudder Challenge and needless to say I’m struggling to walk today after our first fitness test. I’m not sure if my patients have noticed the grimaces and silent groans as I move around my bench, lol. If you want to make a donation they have a JustGiving page and I have agreed to match donations up to a grand total of £250.